Evergreen FC has yet to be beaten in this competition, having won every game. Highview Athletic's last result was a poor 4-1 loss away against Freebooters AFC. Stoneyford United beat Thomastown Boy's. Bridge United Athletic has yet to win in this competition. East End United has yet to win in this competition, having lost all 4 games. 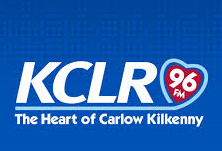 Kilkenny defeated the Midlands League 1---0 to win their first under 14 Gaynor Cup Tournament played in Limerick UL the winning goal was scored by team captain Ellen Molloy. Deen Celtic Athletic share points with Evergreen Boy's. Deen Celtic Athletic has yet to be beaten in this competition, having won 2 out of its last 3 games. Evergreen Boy's has yet to be beaten in this competition, having won 2 out of its last 4 games. 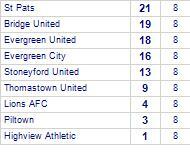 Freebooters AFC's last fixture played was a confident 4-1 win at home against Highview Athletic. Callan United's last result was a disappointing 0-2 loss at home against Deen Celtic Athletic. Thomastown United has yet to win in this competition. 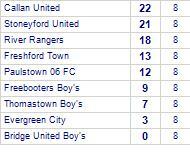 Freebooters AFC A's last result was a narrow 1-2 win away against Thomastown United A. They are currently on a winning streak of 4 games.They They have yet to be beaten at home. 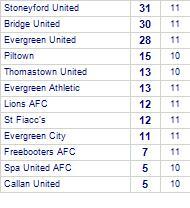 Evergreen FC A has yet to be beaten in this competition, having won 7 out of its last 8 games. Highview Athletic has yet to win in this competition, having lost all 2 games. Freebooters City has yet to be beaten in this competition, having won every game. Callan Boy's has yet to win in this competition. Callan Athletic take spoils against Highview Athletic. 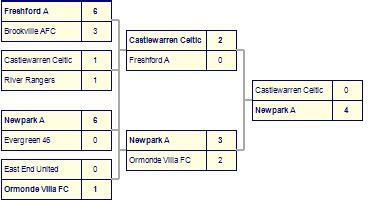 Newpark A win against Ormonde Villa FC. Evergreen Boy's are defeated by Fort Rangers Athletic. Evergreen Boy's has yet to win in this competition. Evergreen Boy's despatched by Freebooters Boy's. 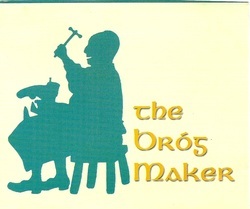 Freebooters Boy's has yet to be beaten in this competition, having won every game. Deen Celtic Athletic take spoils against East End United. Deen Celtic Athletic has yet to be beaten in this competition, having won every game. Paulstown 06 claim victory against Fort Rangers. Fort Rangers has yet to win in this competition, having lost all 4 games. Deen Celtic B despatched by Freshford Town B.
Deen Celtic B are currently on a losing streak of 8 games. Spa United AFC suffer defeat to Evergreen Athletic. Spa United AFC has yet to win in this competition, having lost all 3 games. Evergreen Athletic has yet to be beaten in this competition, having won every game. 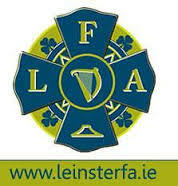 Thomastown Boy's draw with Clover Boy's. Thomastown Boy's has yet to win in this competition. Clover Boy's has yet to win in this competition. Highview Athletic draw with Spa United. Highview Athletic has yet to win in this competition. Spa United has yet to win in this competition. Stoneyford Athletic despatch Bridge Athletic. Freebooters Athletic take all points from Lions. Evergreen City claim victory against Paulstown 06. Evergreen City has yet to be beaten in this competition, having won every game.